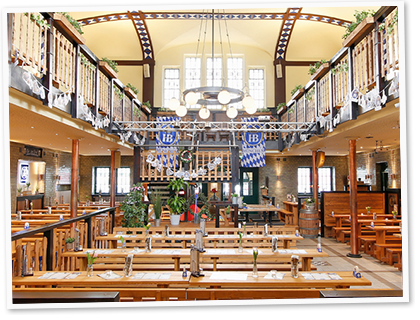 Lively pub atmosphere and cozy beer garden flair - this is the Hofbrauhaus tavern with its southern Germany, civic and fine dining: Enjoy with us the original Hofbräu beer - of course served in beer mugs - and numerous Alpine specialties in our authentic Bavarian taverns. 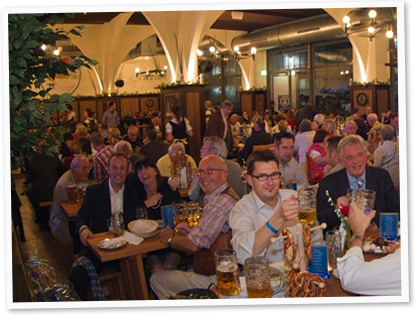 In the evening, then experience Oktoberfest atmosphere at its best - all year! 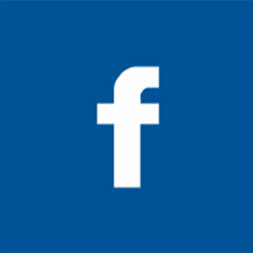 To reserve online, please select your location. 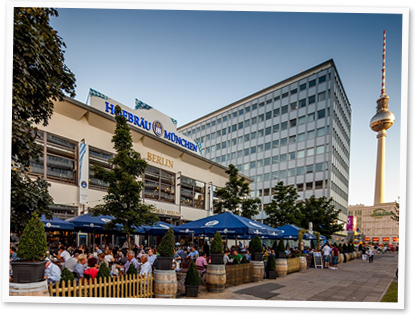 Parallel to the Munich Oktoberfest, every Hofbräu tavern on the 21.09.2019 taps into a barrel of the traditional Hofbräu Oktoberfest beer! 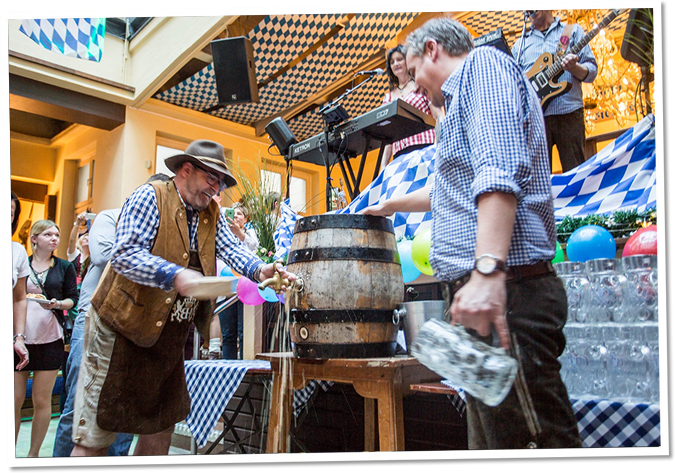 You should not miss this: During the entire Oktoberfest time, experience typical Bavarian marquee atmosphere in the heart of your city - even during the week! 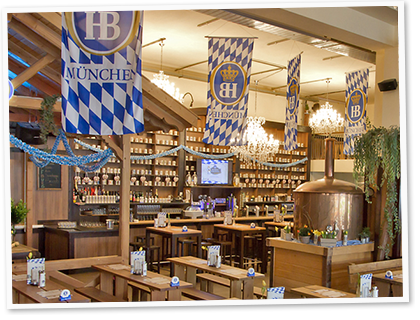 Our Original Hofbräuhaus Showband provides genuine Oktoberfest music with hearty music. 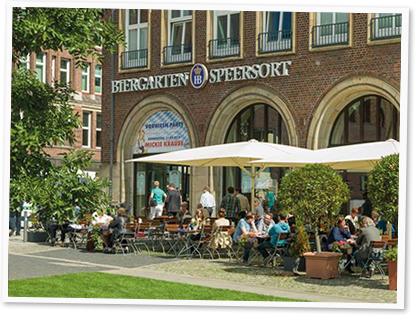 Be there, if it is again this year: O'zapft is! 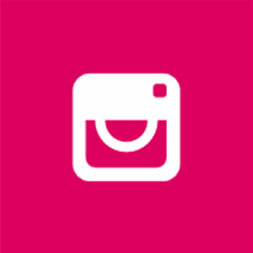 Do you fancy exciting guests and a young, motivated team? 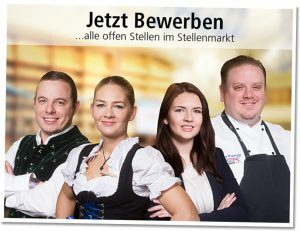 Then apply now in our taverns in Berlin or Hamburg! 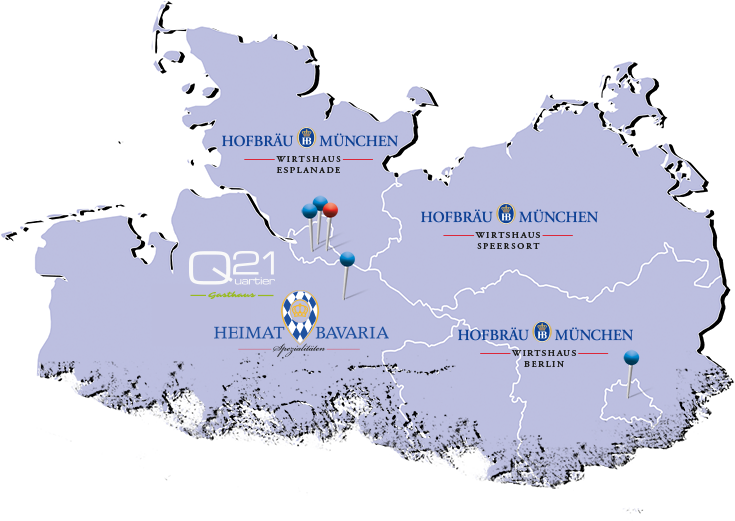 Whether corporate event, birthday, wedding or just so: we are your Bavarian partners in Northern Germany. 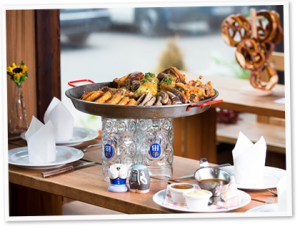 On the side www.wirtshaus-locations.de you can gain an overview of our homes and ask for your event.